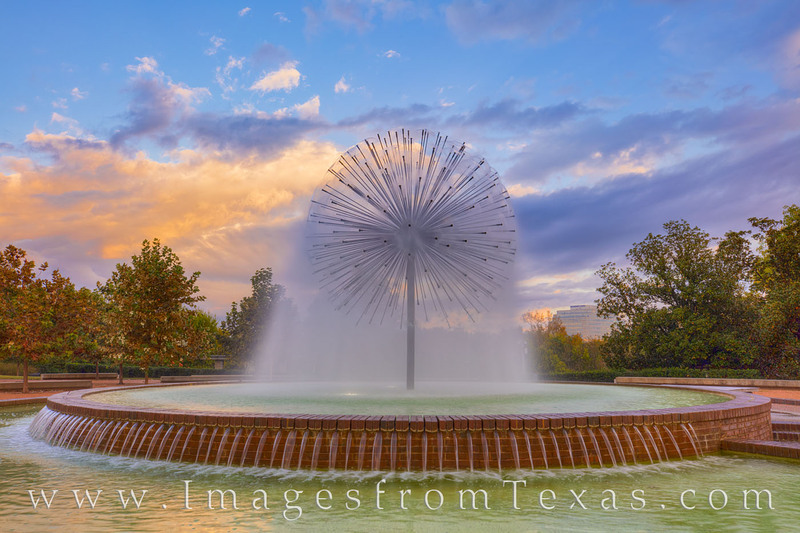 The Gus Wortham Memorial Fountain near Buffalo Bayou in Houston, Texas, was donated by the Wortham Foundation. It is found along Allen Parkway and is a favorite among local Houstonians. It is also known as the Dandelion Fountain because of its unique appearance. Photo © copyright by Rob Greebon.